Encore's program Music for Young Children is offering two new sessions - Sunbeams (ages 5 and 6) and a Sunshine (ages 3 and 4) session. Sunshine will be offered on Thursdays from 4 - 5, and Sunbeams on Thursdays from 5 - 6. 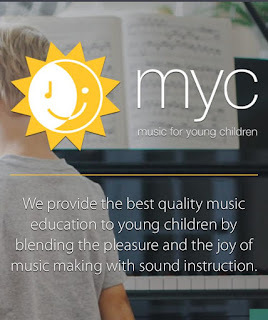 Music for Young Children is a classroom-based program for young students and their parents. Our classes will not only teach piano skills and how to read music, but also other very important elements such as sight-reading, composition and ensemble playing. The classes are one-hour long weekly classes, divided into three 12-week sessions per level.